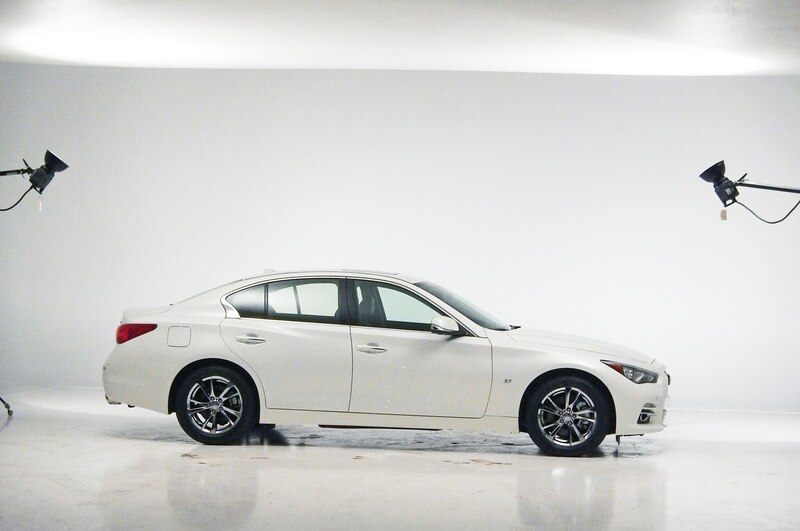 The Infiniti Q50 has now been in our Four Seasons fleet for a little more than a month. Despite taking delivery of our moonlight white sedan as winter was winding down, we decided to play it safe and fit the Q with a set of winter footwear. However, when we contacted Tire Rack to place our order, we found out that it would require a bit more than just a phone call. 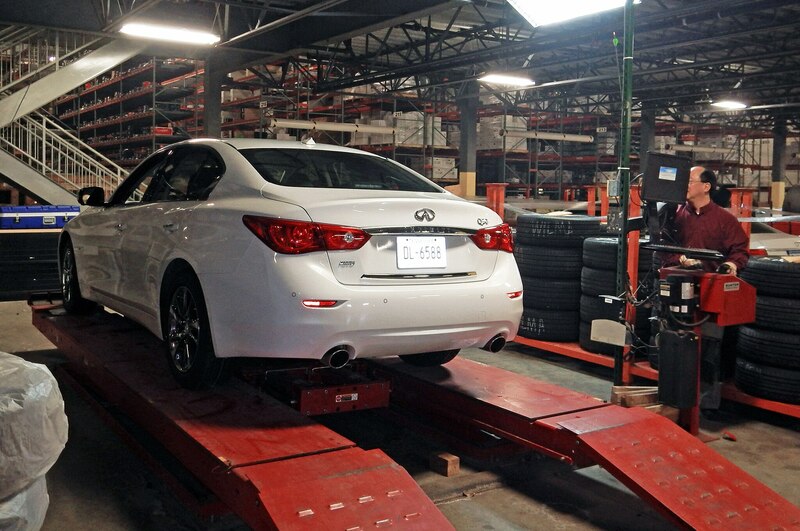 Because the Infiniti Q50 is an all-new model, it hadn’t yet gone through Tire Rack’s exacting process for recommending winter footwear: Tire Rack takes every vehicle for sale in the United States and calculates the area within its wheel wells, which eliminates the possibility of errors when recommending tires to its customers. So, after being cajoled by Woody Rogers, our favorite product information specialist at TR, I decided to take the Q50 to Tire Rack’s headquarters in South Bend, Indiana, so they could take its measurements and hook us up with a set of winter tires. The trip was also a great opportunity to get more familiar with the Q50’s unique safety and driver-assistance systems. When I hit mid-Michigan and was finally clear of rush-hour traffic, I activated Vehicle Dynamic Control (VDC) in the touch-screen menus and then pushed the dynamic driver assistance switch on the steering wheel to activate the Q50’s full array of electronic helpers. What I was most interested in was the Lane Departure Prevention (LDP) system, which uses information gathered from the Q50’s multiple cameras to instruct the steer-by-wire system to make steering adjustments that help keep the car in its lane. This system works best on mostly straight stretches of highway, and I only felt comfortable taking my hands off the wheel and experimenting with it in very light traffic. The system worked well. It has a very light touch and does a good job of not overcorrecting. There was only one instance when it caused the Q50 to bounce—in super-slow motion—off one side of the lane marker then off the other before correcting itself. After playing with the system for a bit, I crossed the border into Indiana and was soon in South Bend. 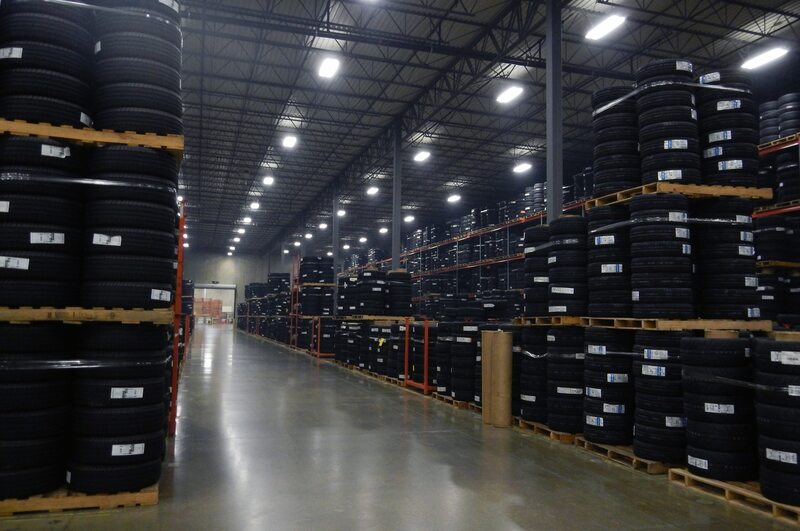 Tire Rack’s facility is a short drive from the Interstate and flanks the picturesque St. Joseph River. Rogers took me on a tour — yes, there are oodles of tires in the seemingly endless and remarkably clean warehouse — while the Q50 was washed and prepped for a quick photo shoot. We returned just in time to catch it in the studio before it was pulled around to the lift to be measured. Enter product engineer Bob Kobayashi and the Coordinate Measuring Machine (CMM). The CMM is a portable device that, using specific points manually selected using the device’s robot-like arm, is used to map a vehicle’s wheel well. Kobayashi wasted no time getting started: manipulating the arm inside the front and then the rear wheel wells, all the while checking the nearby computer display to make sure the machine was getting the information it needed to generate accurate measurements. In less than thirty minutes, the show was over. Not long after that, new Bridgestone Blizzaks had been mounted on the Q50’s wheels, which were then reinstalled on the car. Minutes later, the Q50 was back on terra firma and I started saying my goodbyes. As I drove out, Rogers, always the tire educator, reminded me that the Blizzaks were probably going to be a little louder and less responsive than the all-season OEM tires I came down on. Not surprisingly, the Blizzaks are both of these things on the mild, sunny day driving back to Ann Arbor. The trip was far from unnecessary, though, as Mother Nature dropped several more inches of snow less than a week later. Happily, our Q50 was properly equipped to handle it.